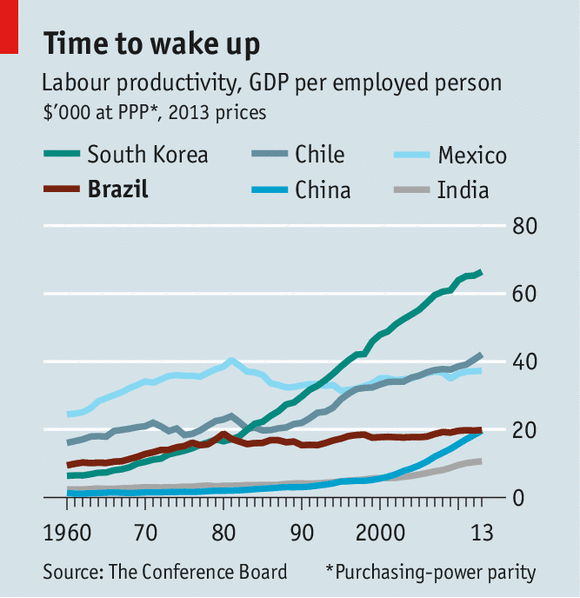 The Economist has published an interesting article about Brazil's low productivity. Specifically, on how it has been kept low for the last 50 years. I could endorse it almost word for word. I would like to copy it here and highlight the best parts in bold, but I see that this would be pointless. Instead, I shall make some remarks on the dozens of comments left by Brazilians and foreigner alike. Many of the Brazilians made grammar mistakes and had difficulties getting their point across. *My English skill are also not perfect. Several comments relied heavily on crystallised expressions and commonplaces, for example: "complexo de vira-lata" (stray dog complex); Brazilian cursed colonial heritage; British/American arrogance; Brazilian good people exploited by the evil American empire, etc. Several comments criticised The Economist simply for publishing an article "against" Brazil, and many other comments attacked readers who pointed out the need for modernisation in Brazilian labour laws, as if they were suggesting that Brazilian workers should be deprived of its rights. Some of the comments are aggressive against the foreigners who live in Brazil and that agreed with the article's critics. Brazilians commenting the article seldom make use of data points, statistics, etc. 5 of the commentators who seemed Brazilians used wrong data. On the other hand, 2 of the commentator who seemed Brazilian used data correctly. The other seemingly Brazilians used no figures to support their comments. The very comments to the article seem to confirm that Brazilian workers are not as well educated and trained as their peers, at least regarding written communication and argumentation in the English language. It is fair to assume that there are direct connections between educational level and productivity. Also, I would go as far as to assume that a population with good English language skills is probably better suited to compete with Europe and America in high technology fields. 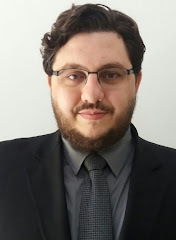 Thus, one could say that the main point of the article (Brazilian inferior productivity) is well supported by the evidence provided by the Brazilian commentators. I should say that I know that the numbers are not statistically significant, that the sample is biased and that this is not a rigorous survey. But please keep in mind that, in spite of the lack of statistic value, the comments are an intriguing source of information. Few Brazilians know English well enough to read The Economist (some pools mention a 5% English literacy rate). And even among this select group it was easy to spot mediocre skills. It is OBVIOUS that Brazilians have a tremendous education and productivity problem. When investing in Brazil, keep that in mind and try to invest in your team's training.